Since 2014, Beth Erickson has been the President & CEO of Visit Loudoun, Loudoun County’s officially designated tourism development and destination marketing organization. Loudoun County is the third-highest generator of visitor spending in the Commonwealth and in 2017, generated almost $1.8 billion in travel spending, supported17,497 jobs, providing $695 million in wages. Prior to joining Visit Loudoun, Beth was Vice President of the Journey Through Hallowed Ground Partnership (JTHG)—a nonprofit organization dedicated to raising awareness of the 180-mile swath of land between Gettysburg, PA and Thomas Jefferson’s Monticello. The JTHG was recognized by Congress as a National Heritage Area in 2008. As the Director of the JTHG National Heritage Area, she was responsible for all aspects of the management of the Heritage Area through the U. S. Department of Interior and developing strategic public and private partnerships. 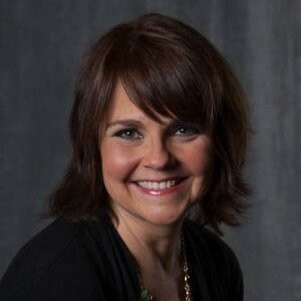 She is a board member of the Virginia Restaurant, Lodging, Tourism, and Hospitality Association; served on the Loudoun County Comprehensive Plan Stakeholder Committee, Loudoun County Economic Development Commission, Loudoun County Economic Development Authority, and the Loudoun County Nighttime Economy Ad-hoc Committee; She also serves on the Loudoun County Chamber Board of Directors and Policy Committee; Fairfax-Loudoun Chapter of the Virginia Restaurant Lodging & Travel Association Board of Directors; and the Middleburg Film Festival Board of Directors. She is the immediate past-president of the Northern Virginia Visitors Consortium. Beth holds the internationally recognized Certified Destination Management Executive (CDME), a program of Destination Marketing Association International. Beth received the George Washington University Tourism Innovation Award for Innovations in Destination Development and Management in 2017; was named one of the Top 20 Female Executives in Loudoun County; was honored by the Corporation for National and Community Service, the Virginia Department of Education, and the Advisory Council on Historic Preservation for outstanding leadership for innovation in educational programs; and is a featured speaker at national association meetings and symposiums. Beth and her husband have raised three children in Waterford, Virginia.